We all naturally want to get our money’s worth, particularly when it comes to such an important investment like the purchase of a new or pre-owned vehicle. 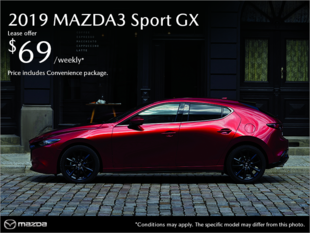 Well, at your Mazda Spinelli dealership in Montréal, you are sure to get an attractive price, both for the purchase or the lease of your 2019 Mazda3, a 2019 CX-9 or a Mazda6. 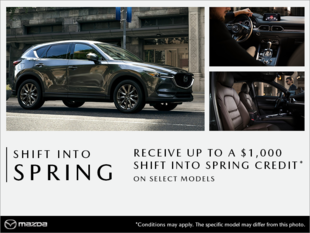 However, since they only last for a certain period of time and are constantly updated, you should consult the current Mazda promotions online or at the dealership. 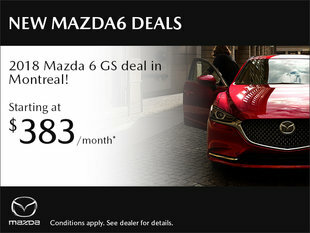 You could benefit from Mazda discounts, cash rebates or offers such as special interest rates on certain models. 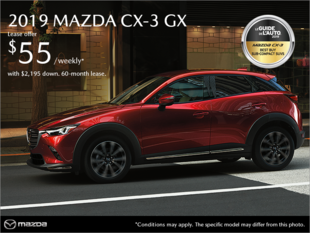 If investing your money wisely is important to you, whether it is for the lease or the purchase of a 2018-2019 Mazda vehicle, such as a Mazda SUV like the Mazda CX-3 or any other model of your choice, Spinelli Mazda is committed to providing its clients with a quality service, at attractive price, with the help of a team of passionate professionals. 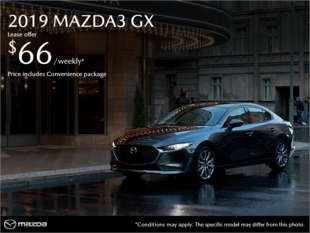 Thanks to the numerous advantages offered by Mazda promotions, returning home with your 2018-2019 Mazda vehicle in Montréal has never been easier. 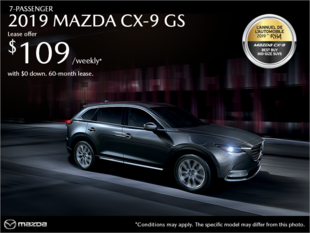 If you want to acquire a seven-seater Mazda SUV or a CX-5, you've come to the right place. 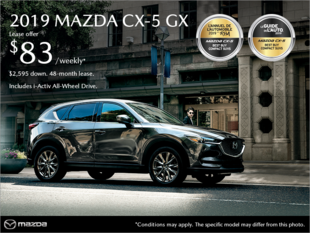 In addition to Mazda promotions, Spinelli Mazda suggests a diverse range of exclusive Spinelli programs, which allow you, among others, to accumulate points that you can exchange for gifts, discounts, premiums or services. Another option is the tire protection program against road hazards, which includes the replacement or repair of a tire, bought from us, it goes without saying. Find out more about all the privileges that come with these programs, as well as all our various services, from the detailing to the tire centre, including our parts and accessories department. Come see us at Spinelli Mazda and enjoy a unique experience thanks to our team of dynamic and passionate experts who will exceed your expectations!